Surgical site infections (SSIs) are the second most common cause of hospital acquired (Nosocomial) infections. These complications of surgical procedures cause considerable morbidity and, when these occur deep at the site of the procedure, can lead to mortality as high as 77%. 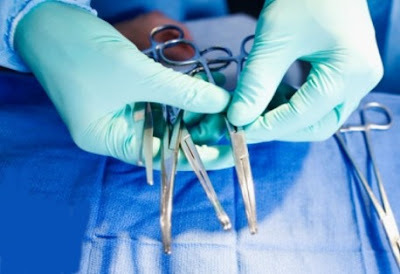 The source of SSIs may be endogenous (normal flora of the patient’s skin, mucous membranes, or viscera) or exogenous, which includes surgical personnel (especially members of the surgical team), the surgical room environment (including air, floor & wall), and tools, instruments, and materials brought to the sterile field during surgery. By maintaining sterile environment in surgical theater we can control major part of exogenous infections. Formaldehyde fumigation has long been an accepted method of sterilization for areas where microbiological cleanliness is required. Fumigation with formaldehyde vapor is the recognized and most commonly used method because of its cost effective procedure (Alternative: vaporized hydrogen peroxide; expensive). Formaldehyde vapor is an extremely effective biocidal agent. It acts as an alkylating agent, inactivating micro-organisms by reacting with carboxyl, amino, hydroxyl and sulphydral groups of proteins as well as amino groups of nucleic acid bases. Fumigation is effective at above the temperature of 20ºC and relative humidity of 65%. Formalin is commercially available as 40% solution of formaldehyde in water. When formalin is heated formaldehyde vapor is generated. Formaldehyde is a Schedule 1 chemical under the COSHH (Control of Substances Hazardous to Health) Regulations and has a Maximum Exposure Limit (MEL) of 2 ppm. But, concentrations encountered during fumigation is many hundred times higher than this, so fumigation procedure must be carried out only by trained personnel under strictly defined conditions. All workers using formaldehyde must be aware of safe handling procedures. Under certain conditions formaldehyde can react with hydrochloric acid and chlorine containing disinfectants such as hypochlorites to form chlormethyl ether, a potent lung carcinogen. So hydrochloric acid and chlorine-containing disinfectants must be removed from the room before fumigation. Thoroughly clean windows, doors, floor, walls, surgery table and all washable equipments with soap and water. Close windows and ventilators tightly. If any openings found seal it with cellophane tape or other material to avoid the leak of fume. Switch off all lights, A/C and other electrical & electronical items. Calculate the room size (surgical theater only) in cubic feet (L×B×H) and calculate the required amount of formaldehyde as given in step 3. Formaldehyde is irritant to eye & nose; and it has also been recognized as a potential carcinogen. So the fumigating person must be provided with the personal protective equipments (PPE). Paste a warning notice on the front door indicating fumigation is in progress. Electric Boiler Fumigation Method (Recommended): For Each 1000 cubic feet, 500 ml of formaldehyde (40% solution) added in 1000 ml of distilled water (if not available use tap water) in an electric boiler. Switch on the boiler, leave the room and seal the door. After 45 minutes (variable depending to volume present in the boils apparatus/its heating proficiency) switch off the boiler without entering in to the room (Switch off the main from outside). Potassium Permanganate Method: Here the heat generation is induced by an oxidizer - Potassium permanganate (KMnO4), which results in auto boiling and generates fume from formaldehyde. Take 500 ml of formaldehyde (40% solution) in 1000 ml of distilled water (if not available use tap water) in a heat resistant bowel, preferably in a steel bucket and then add 450gm of KMnO4 for 1000 cubic feet of theater volume. Repeat the same in separate bucket for every another 1000 cubic feet until it reaches the complete theater volume. It is important to add KMnO4 to all buckets simultaneously to reduce the exposure to fume (i.e., need 3 or 4 persons at different location). After the initiation of formaldehyde vapor, immediately leave the room and seal it for at least 12 to 24 hours. Before neutralization, formaldehyde fumigation system should be taken out from the surgical theater. Then the toxicity of formaldehyde vapor should be neutralized with ammonia solution. Place a cotton ball and pour 300 ml of 10% ammonia (for each 500 ml of formaldehyde used) on the floor of surgical theater, at least 4 hours before (07 a.m.) the “Sterility Test”. Formaldehyde gas reacts with ammonia gas and produce hexamine (synonym hexamethylenetetramine) which is considered a harmless substance. Switch on the A/C, at least 2 hours before (09 a.m.) the “Sterility Test”. 1. A record (log book) should be kept and properly maintained for all fumigations with following details, date & time of fumigation, date & time of neutralization, personnel involved, and the dates of “sterility test visits” & their results. 2. Construction layout plan of the surgical theater with measurement details should be attached with the log book. 4. Construction, carpentry, plumbing, electrical, cleaning and other works should be completed before the initiation of fumigation procedure. 5. Room allotted for surgery (as shown in the plan) should not be used for any other purposes. 6. Entire block should be thoroughly cleaned before fumigation. All apparatus such as suction, table, focus lights, A/C units, etc., should be cleaned according to manufacturer instructions. 8. Warning notice should be pasted on the front door indicating fumigation is in progress. 9. Entry should be restricted to authorized persons (Label must be pasted on the main door). 10. Separate footwear should be kept at the entrance (inside) of surgical theater. 11. Theater dress (includes head cap, mask, apron, footwear, etc.,) should be made available for all persons who are entering into the surgical theater (surgeons, anesthetist, microbiologist team, nurses, theater assistants & helper). 12. Surgical theater should be cleaned and fumigated periodically depending upon the case load.